Translate your images and scanned PDF files, annotate and edit them, preserve the original layout, font and color. NEW*: - PDF support, including editing and annotate, and HTML export. 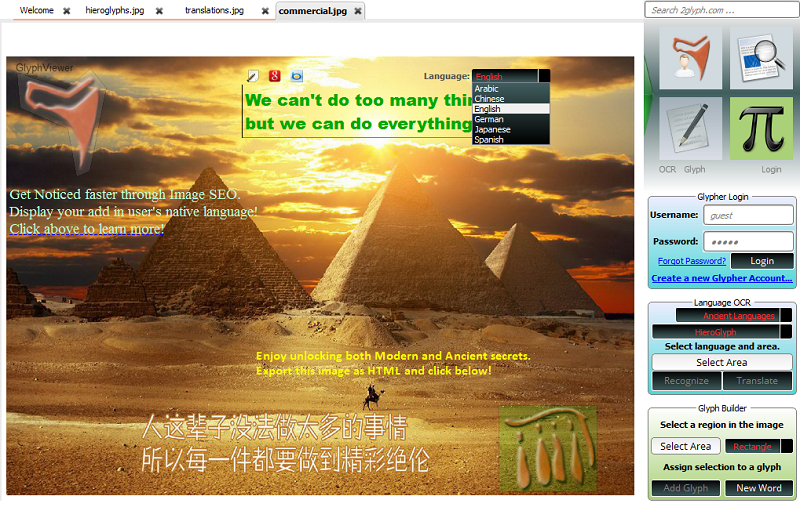 - 800+ ancient symbols, 10,000 Egyptian Hieroglyphs words. - improved user accessibility and performance.